Looking at my scrap basket I realized it was time to do something with those small pieces of fabric that I hate to toss. I have been making a lot of hexies. There are several different techniques for making them. They can be basted in the front or the back. I like my basting to show on the backside of the hexie. This is the technique to I prefer to use. These are the supplies I use for making them. There hexagon templates available online in different sizes. I wanted to be able to use my small scraps and decided on 1" hexies. I found this Fiskars Hexagon Punch that makes 1" hexagons on Amazon for around $9.00 With the punch I know they are exactly the same size each time unlike me having to cut a paper template. I cut my 8 1/2 x 11 piece of card stock into 1 1/4" strips and punched away. You can make anywhere from 60-70 hexagon templates on a sheet of card stock. 1. 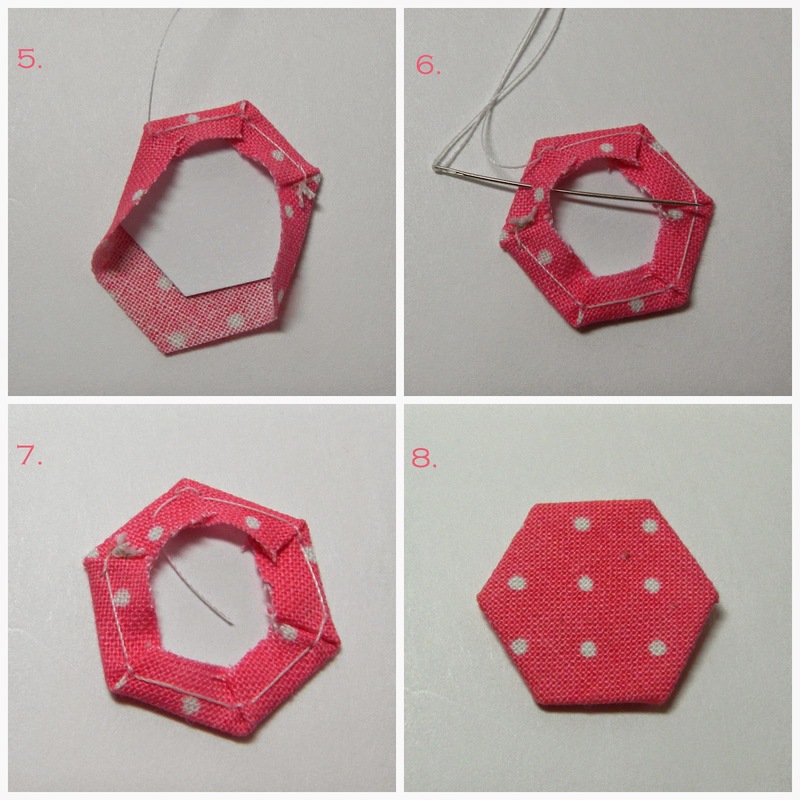 Take a paper hexie and swipe it with your glue stick and place it on your fabric scrap. I really like using the disappearing purple glue stick so I can actually see where I swipe it and that way I don't over do my glue. 2. 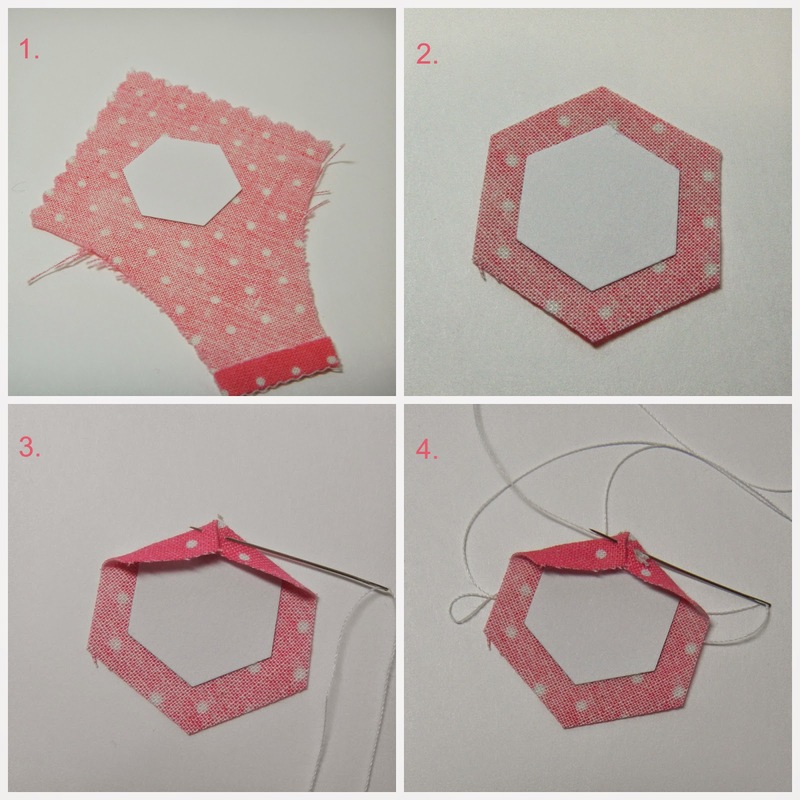 Cut the fabric leaving anywhere from 1/8" to 1/4" of fabric around your paper hexie. 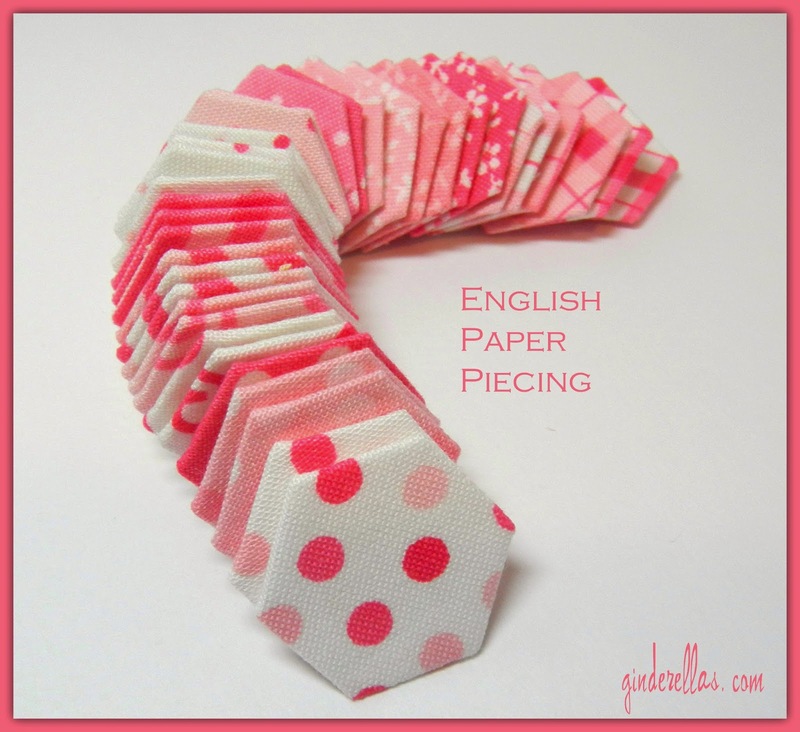 I prefer to cut 1/4", it is easier for me to fold and sew. 3. Thread your needle and knot the end. I use an applique needle because it is a little more flexible when sewing small stuff. Fold over 1 edge and fold over the next edge to make a mitered corner. Stitch through the first fold into the second. 4. Bring you needle back to the first fold and through the second fold again. You should have a nice small stitch holding the corner together. 5. Fold the next piece of fabric to make a mitered corner and repeat making the small stitch. 6. Continue folding and stitching around the hexie. When you are at the end just pull your needle through the middle and cut your thread. 8. Front of a finished hexie. 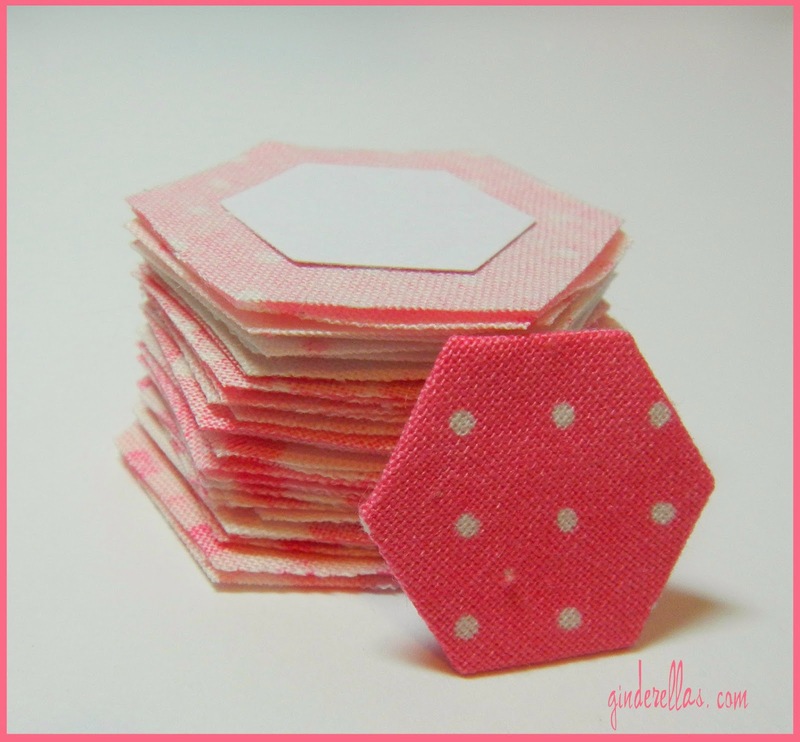 I always cut out a stack of hexies at a time and then I have them ready to sew. When I am finished I store them in a box until I have a project I want to use them in. I will have a future post showing them stitched together. Basically you whip stitch them together and remove the paper when done stitching.